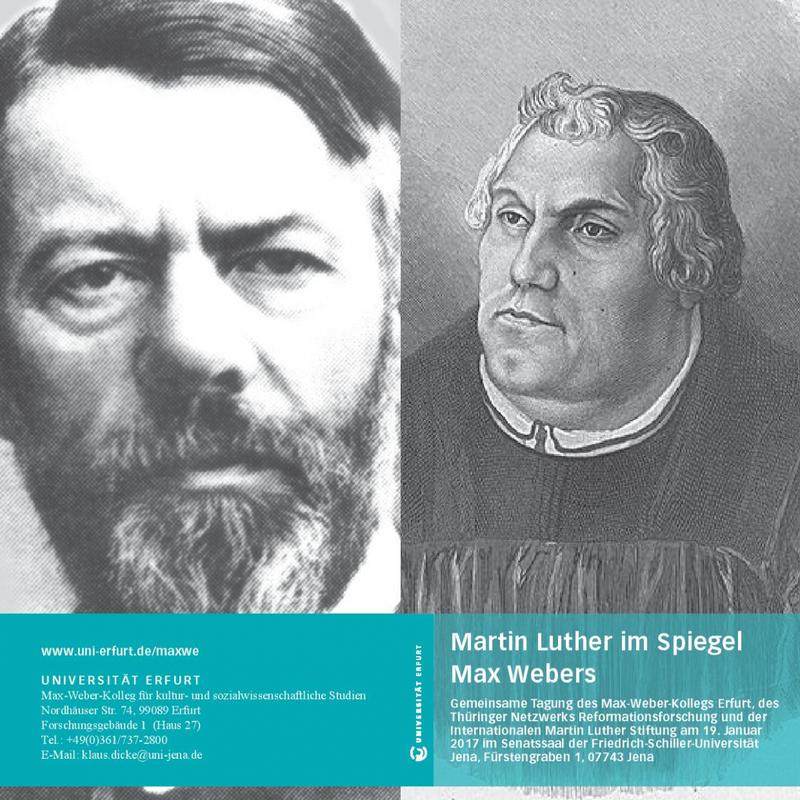 The Max Weber Centre for Advanced Cultural and Social Studies, the Thuringian Network for Reformation Research and the International Martin Luther Foundation will host a workshop on Max Weber and Martin Luther ("Martin Luther im Spiegel Max Webers") on 19 January at Friedrich Schiller University Jena (Senatssaal, Fürstengraben 1). The workshop will be held in German. Suggested by the Max Weber Centre the workshop is supposed to create a dialogue between the current state of research on Max Weber and the contemporary picture of Martin Luther ahead of the Reformation Anniversary. Besides Weber's hypothesis on Protestantism and an overview of the views on Luther and Lutheranism at the beginning of the 20th century, questions of professional ethics, mysticism, politics, and concepts of church will be discussed.